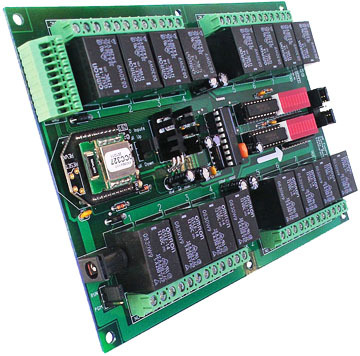 Below you will find the 16-channel Bluetooth Relay control that are available. The difference being the amperage of the relays installed and the type of relay. Choose the controller that fits the amperage you are switching. You will find SPDT relays in the 5, 10 and 20 amp versions and an SPST version in 30 amp. DPDT versions are also available with 1, 3 or 5 amp relays installed. For more information on selecting the correct relay for your application see Choosing a Proper Amperage.